The initial furniture collection from TedWood was launched last September. It intends to display the natural beauty of wood through traditional craft techniques, with strong contemporary styling. This year TedWood launches a range of new products at Tent. At the show you will see the HexHead stool or side table which is constructed from English Oak or Elm. The stool features a hexagon top and three tapered legs. You will also be able to see the distinctive HangUp lamp in chocolate brown leather with a fumed oak rose and also RoundTop, which is a three legged dining table that is available in a selection of sizes. The top is made from a choice of british hardwoods. 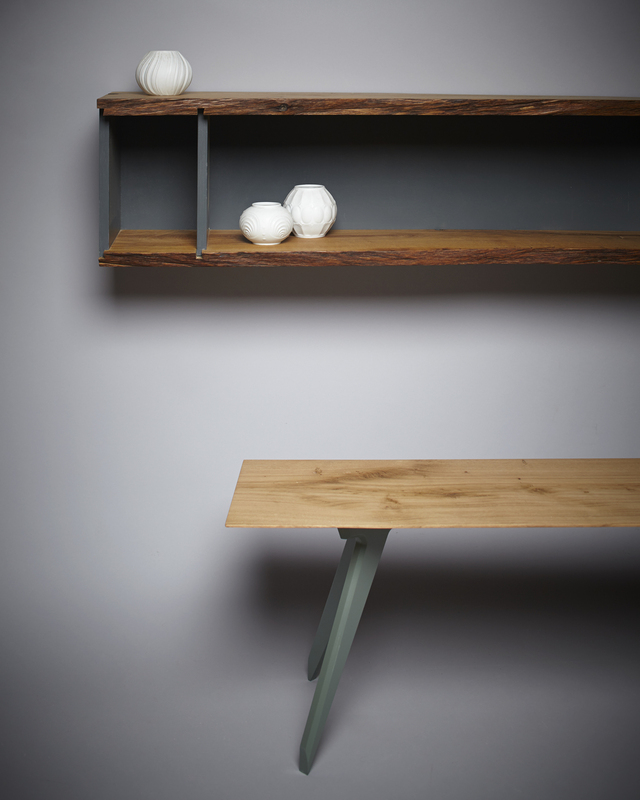 The table feature’s TedWoods signature TipToe legs and are available in either painted finishes or matching hardwood. TedWood Design will be exhibiting at Tent London, 18-21 September.